Regency Yacht Vacations, based in the BVI, has detailed local knowledge of charter catamarans, their crews and the islands. 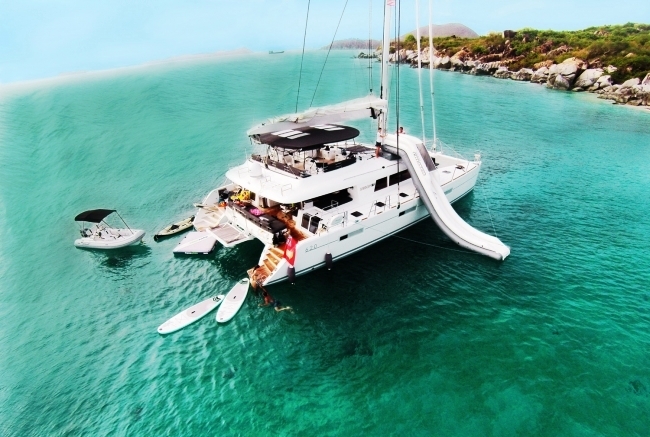 Let us help you find the perfect crewed charter catamaran in the BVI, or any other location. We have seen a huge incline in catamaran yacht charters, they are by far our biggest request from clients. Consequently, the fleet is also increasing in numbers and the overall length of the yachts is getting bigger too. The 62ft catamaran is quickly becoming one of the most popular charter yachts – plenty of space to spread out and all the new models of cats have the highly popular fly-bridge seating area. Chartering one of these is like having your very own personal floating island. The British Virgin Islands is ideal for catamaran charters with its many bays for water sports, snorkeling and scuba diving adventures. Short sails between islands in enclosed waters ensures the sailing is enjoyable for everyone and the wide choice of anchorages means you can choose whether to join a sociable gathering of other yachts or be the only yacht there. There isn’t a fixed itinerary. You sail from island to island each day. The exact route and anchorages will vary based on weather, sea conditions, or guest interests. Your captain will use his knowledge to plan the best route for your trip. In no time at all your crew will have you sunning, swimming, snorkeling, sailing, beach-hopping, and always dropping anchor in time for happy hour. Swim and snorkel around the famous Indians or The Caves, a great spot to see the wide variety of marine life in the BVI waters. Head into The Bight for an overnight mooring, where you can visit the famous Willy T floating bar or Pirates Bight for dinner. Arrive early to the Baths and pick up one of the mooring buoys and swim ashore. Spend the morning exploring the boulders and rocks that form this natural wonder and take a short hike up to ‘The Top of The Baths’ for lunch. Continue up the coast of Virgin Gorda to the North Sound. This is a great place for windsurfing, waterskiing, or tubing. The expanse of water here is well protected by reefs that not only ensure calm waters, but also provide fantastic snorkeling. Visit the various resorts and yacht clubs in the area. 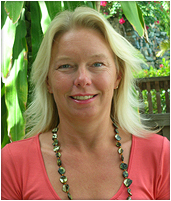 If time and weather allows a trip to Anegada to see this island so different from her sisters. This flat, sandy atoll is laid back with only a few hundred residents. Famous for its Anegada Lobster, this is usually the place for a dinner ashore with your toes in the sand and the stars shining above. No trip to the Virgin Islands is complete without a stop at Jost Van Dyke. Sail to White Bay and swim ashore to the Soggy Dollar Bar. Then continue around to Great Harbour, home of the legendary Foxy’s. Sandy Spit is a postcard perfect island. This magical little island is a great place to stop for a photo op. You can snorkel, swim or just enjoy a picnic lunch on the beach. Our fleet of catamarans range in size from 45ft to a little over 100ft accommodating 2 to 12 guests so whether you are a couple or a large family group there is a catamaran out there that will fit your needs. Charter Destination – What’s of your ideal of a dream charter vacation? We can help narrow your options. Why contact Regency Yacht Charters? You have quite a few unique needs and questions. When you speak with one of our agents we will personally consider each so you can save time and get 100% current rates, availability, and recommendations. Because there are so many options, variables, and seasonal consideration your most efficient and valuable option is to start discussing your needs and desires with us. Regency has decades of knowledge and familiarity with each destination and yacht which offers you the most personalized, white-glove, vacation planning experience available. Watch Some Videos On Our Charters Below!